This stone is similar to, but a bit harder and finer grit than, the Norton 4 x 1 Round Combination Crystolon Stone. 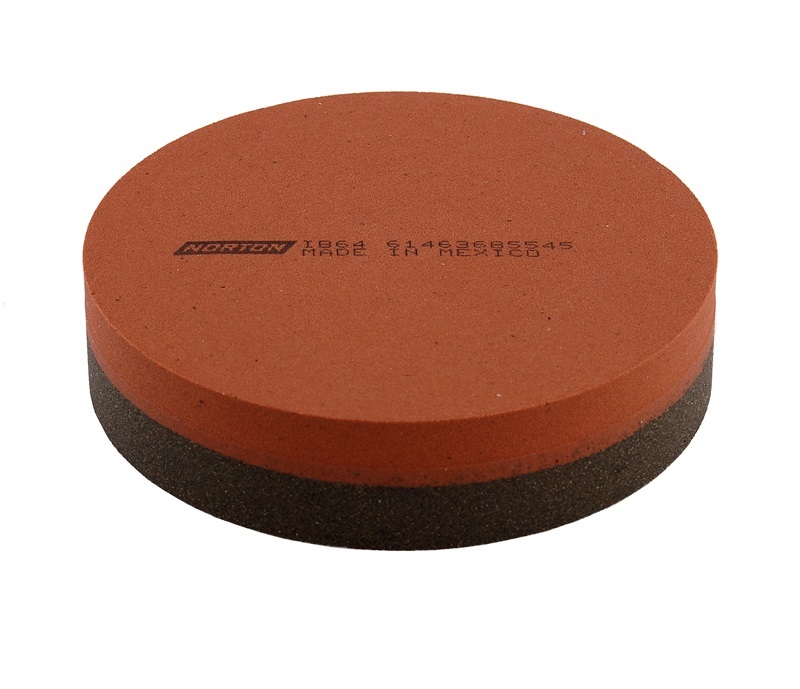 Like our other round stones, one of the popular uses is for sharpening axes. Q. What are the grits of the Fine, Medium and Coarse in the Norton India stones? A. The Coarse India is 150 grit, the Medium India is 240 grit and the Fine India is 400 grit. Please see our Norton Grit Chart for more information. Q. Can this be used for sharpening axes? A. Yes, this is a good axe sharpening stone. It can be used with the stone in your hand or it can be used with the stone on your work surface. For better control and safer operation, we do recommend using this stone on the work surface and bringing your axe to the stone. 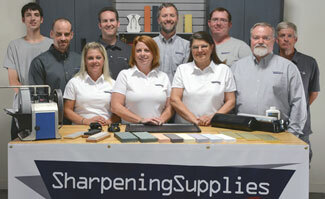 For more information see our Norton IB64 Axe Sharpening page. Q. How long have you carried this stone? A. We've been selling this stone continuously for more than 10 years.